Hi. I need some help. I just bought a g-shock dw5750e-1. The back case got serial number that wrote 830k2k. Usually g-shock dont have this kind of serial number. Is this normal? Or I got a fake one? Hey! Welcome! Thanks for stopping by! There is certainly a wealth of knowledge here, including G-Shock information. What’s your name? Where are you from? Interests? Fetishes? Do you own other watches? Pets? Blacken wrote: Hi. I need some help. I just bought a g-shock dw5750e-1. The back case got serial number that wrote 830k2k. 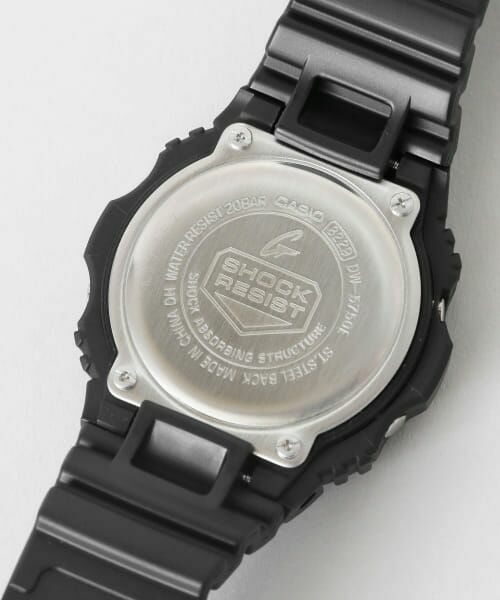 Usually g-shock dont have this kind of serial number. Is this normal? Or I got a fake one? Unless I know the member I don’t answer questions about potential authenticity. Scammers use this type of inquiry to see if their fakes can pass as legit among the watch forum crowd. Im sorry for not introduced my self. Im nor shuhairie from malaysia. Work as a graphic teacher. Not a watch geek. I just created this account yesterday and dont have the chance to complete my background profile. I admit my mistake. Im not a scammer. The only reason I created this account is to ask someone who can help about my enquiry. I hope someone can help me.please. My Gulfman has a serial number similar to what the OP is pointing out. I ne’er noticed it before. It doesn’t stand out.